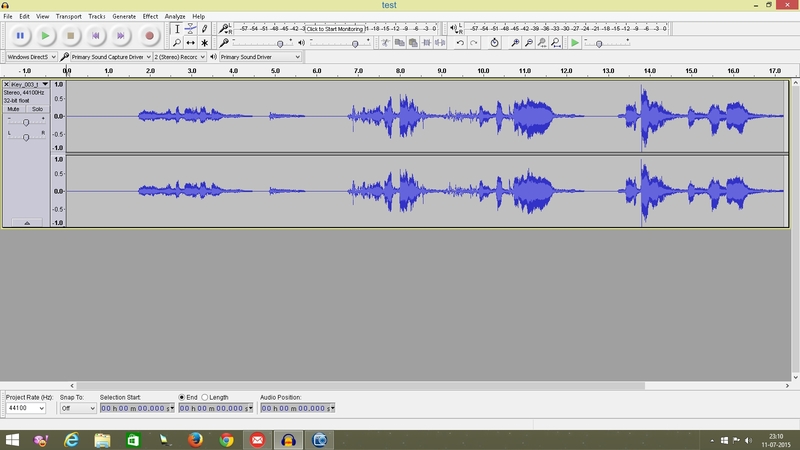 I had written a tutorial long ago about how to remove noise (hiss) from recordings using Audacity. 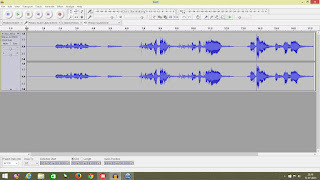 Audacity has grown since then and my last tute may be confusing to those who are using the latest version of Audacity, so here's a tute on using the new software. Open Audacity. Go to File--> Open. Navigate to the folder where you've stored the audio file and double-click the filename. Use Windows explorer to navigate to the folder where you've stored the file. Right-click the filename, select "Open with" and select Audacity from the droplist that pops up. The second method, though faster, may not work if you haven't opened an audio file in Audacity before. If you don't see Audacity in the droplist, simply abort the operation and try the first method given above. If you are happy with the noise removal, OK your way out and export your cleaned file. If there is still a buzz, move the sliders a wee bit to the right and listen to the preview again. If you find that there is distortion of the audio track, move the sliders a wee bit to the left. Keep experimenting until you find the right balance and then OK your way out and export to wav or mp3. Some recordings may be really too terrible to be completely cleaned. In such cases, work to a best solution.